Tunisian Reverse Stitch (trs): With hook always behind work, insert hook from side to side under back vertical bar, yo, pull up lp. Tunisian Knit Stitch (tks): With hook in front of work, insert hook between front and back vertical bars, coming out at back of work, yo, pull up lp. Make One (m1): Insert hook into ch-1 sp, yo, pull up lp. Tunisian Double Stitch (tds): Yo, insert hook into st as for tks, yo, pull up lp, yo, pull through 2 lps on hook (one lp will still remain on hook). The Tunisian crochet stitches used in this project are full demonstrated in right- and left-handed orientation on my YouTube channel. Intermediate to Challenging. This design is fairly intuitive once started. It requires knowledge of several different stitches. 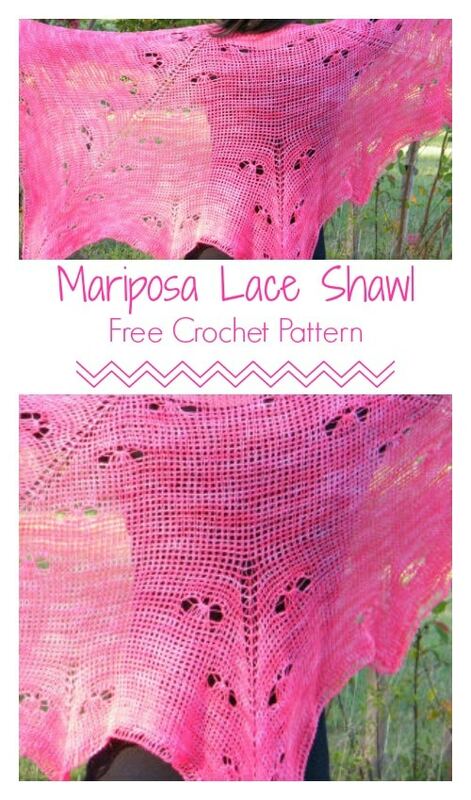 The most challenging part of the design is working with the laceweight yarn. Beautiful result, but it can be trying at times. For best results, try out the pattern in a heavier weight to familiarize yourself then move to the laceweight when you are ready. When marking a stitch with a stitch marker, move the stitch marker up as work progresses. When working into a stitch that is a yarn over, work the tks normally. Closing rows: Unless otherwise instructed, close each row as follows: Ch 1, [yo, pull through 2 lps on hook] across. This means that when there are no closing instructions at the end of a row, close the row normally in this manner. This design is worked from top down, increasing quickly to reach a full width at the bottom. 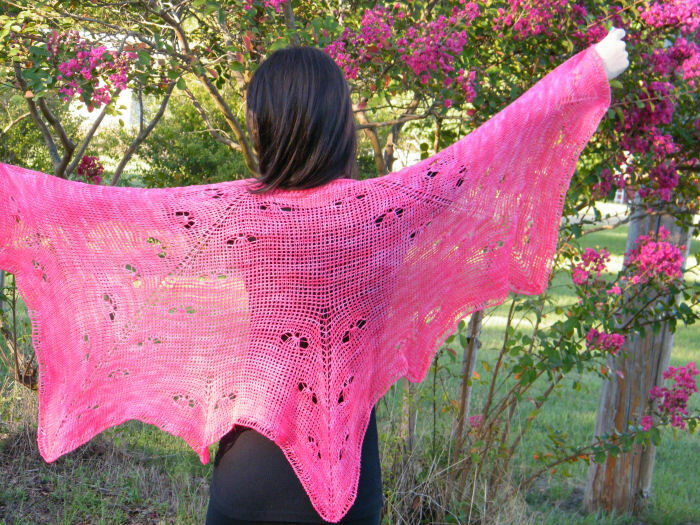 The shawl will change significantly after blocking in both width and height. 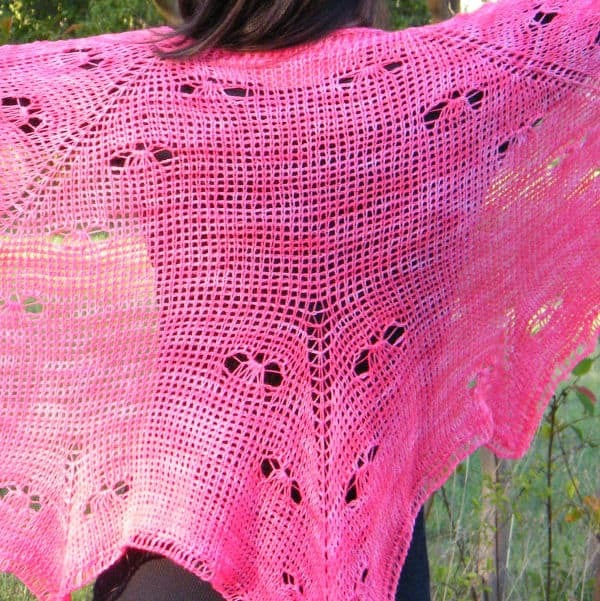 The top of the shawl, row 1, is not meant to fit completely around the neck, like a cape would be. 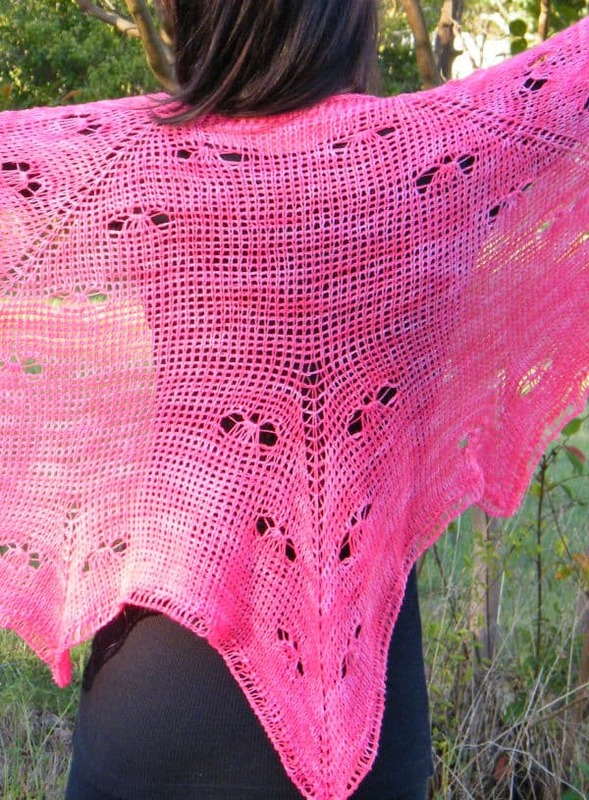 It is intended to be a little dip in the top of the shawl, similar to the feature of a Faroese shawl. This design feature allows the shawl to drape better on the shoulder than a flat edge. Although some rows of the pattern may appear difficult to interpret and follow, the design itself is very intuitive and you may find that you no longer need the stitch markers. Row 1: Ch 40, sk first ch, *insert hook in next ch, yo, pull lp through, rep from * across–40 lps on hook. Close normally (see Pattern Notes above). Row 2: Sk first vertical bar, trs across–40 lps on hook. Row 3: Sk first vertical bar, 9 tks, yo, tks, place SM, yo, 18 tks, yo, tks, place SM, yo, 10 tks–44 lps on hook. Row 4: Sk first vertical bar, *tks to SM, yo, tks in marked st, yo, rep from * once more, tks to end–48 lps on hook. Rows 5-8: Rep row 4. On final row, 64 lps on hook. A: Sk first vertical bar, *tks to 13 sts before SM, sk 3 sts, 5 tds in next st, sk 3 sts, 6 tks, yo, tks in marked st, yo, 6 tks, sk 3 sts, 5 tds in next st, sk 3 sts, rep from * once more, tks to end–60 lps on hook. B: Closing: Ch 1, *[yo, pull through 2 lps] to tds, ch 1, [yo, pull through 2 lps] 5 times, ch 1, rep from * 3 times more, [yo, pull through 2 lps] to end. Row 10: Sk first vertical bar, *tks to ch-1 sp before first tds of 5-tds group, m1, 5 tks, m1, tks to SM, yo, tks in marked st, yo, tks to ch-1 sp before first tds of 5-tds group, m1, 5 tks, m1, rep from * once more, tks to end–72 lps on hook. Rows 11-17: Rep row 4. On final row, 100 lps on hook. 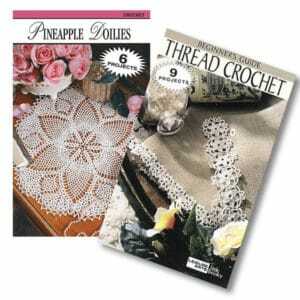 Row 18: Rep row 9–96 lps on hook. Row 19: Rep row 10–108 lps on hook. Rows 20-28: Rep rows 11-19 consecutively. On final row, 144 lps on hook. Rows 29-36: Rep rows 11-18 consecutively. On final row, 168 lps on hook. Row 37: Sk first vertical bar, tks to ch-1 sp, m1, 5 tks, m1, tks to SM, yo, tks in marked st, yo, tks to ch-1 sp, m1, 5 tks, m1, 30 tks, yo, place SM in yo, 30 tks, m1, 5 tks, m1, tks to SM, yo, tks in marked st, yo, tks to ch-1 sp, m1, 5 tks, m1, tks to end–181 lps on hook. Row 38: Rep row 4 except at 2nd SM, [yo, tks in marked st, yo]–187 lps on hook. Rows 39-44: Sk first vertical bar, *tks to SM, yo, tks in marked stitch, yo, rep from * 2 times more, tks to end. On final row, 223 lps on hook. A: Sk first vertical bar, *tks to 13 sts before SM, sk 3 sts, 5 tds in next st, sk 3 sts, tks to SM, yo, tks in marked st, yo, 6 tks, sk 3 sts, 5 tds in next st, sk 3 sts, rep from * 2 times more, tks to end–217 lps on hook. B: Closing: Ch 1, *[yo, pull through 2 lps] to tds, ch 1, [yo, pull through 2 lps] 5 times, ch 1, rep from * 5 times more, [yo, pull through 2 lps] to end. Row 46: Sk first vertical bar, *tks to ch-1 sp, m1, 5 tks, m1, tks to ch-1 sp, yo, tks in marked st, yo, tks to ch-1 sp, m1, 5tks, m1, rep from * 2 times more, tks to end–235 lps on hook. Rows 47-53: Rep row 39. On final row, 277 lps on hook. Row 54: Rep row 45–271 lps on hook. Row 55: Sk first vertical bar, 30 tks, yo, place SM, tks to ch-1 sp, m1, 5 tks, m1, tks to SM, yo, tks in marked st, yo, tks to ch-1 sp, m1, 5 tks, m1, [26 tks, yo, place SM, tks to ch-1 sp, m1, 5 tks, m1, tks to SM, yo, tks in marked st, yo, tks to ch-1 sp, m1, 5 tks, m1] twice, 18 tks, yo, place SM, tks to end–293 lps on hook. Row 56: Rep row 39 except at 1st, 3rd and 5th SM, [yo, tks in marked st, yo]–307 lps on hook. Rows 57-62: Sk first vertical bar, *tks to SM, yo, tks in marked st, yo, rep from * 6 times more, tks to end. On final row, 391 lps on hook. A: Sk first vertical bar, *tks to 13 sts before SM, sk 3 sts, 5 tds in next st, sk 3 sts, tks to SM, yo, tks in marked st, yo, 6 tks, sk 3 sts, 5 tds in next st, sk 3 sts, rep from * 6 times more, tks to end–377 lps on hook. B: Closing: Ch 1, *[yo, pull through 2 lps] to tds, ch 1, [yo, pull through 2 lps] 5 times, ch 1, rep from * 13 times, [yo, pull through 2 lps] to end. Row 64: Sk first vertical bar, *tks to ch-1 sp, m1, 5 tks, m1, tks to SM, yo, tks in marked st, yo, tks to ch-1 sp, m1, 5 tks, m1, rep from * 6 times, tks to end–419 lps on hook. Rows 65-68: Rep row 57. On final row, 475 lps on hook. Row 69: Ch 1, sk first vertical bar, tds in each st across–47 lps on hook. Close normally. Fasten off. Wet completely in cool water, squeeze gently, roll in towel to remove excess water, block as desired. Weave in ends carefully. 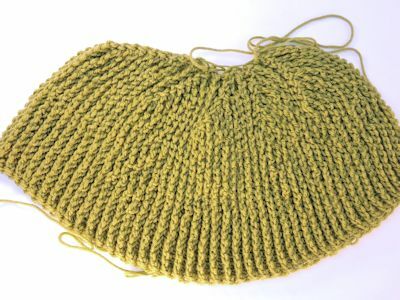 If you have never tried double-ended Tunisian crochet, I recommend that you try out the Dueling Colors Cowl HERE to practice. 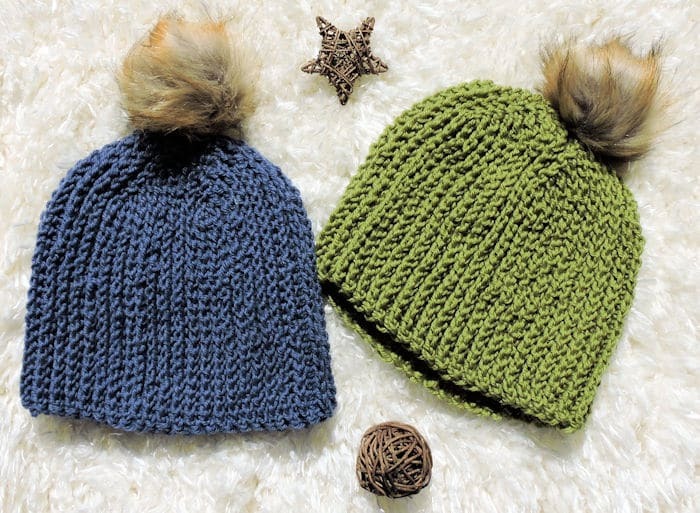 This project uses the same stitch pattern, but is more challenging with two balls of yarn in the same color while including shaping for the top of the beanie. Tunisian Knit Stitch (tks):: Insert hook from front of work to back of work between front and back vertical bars of the same stitch, yarn over, pull lp through. 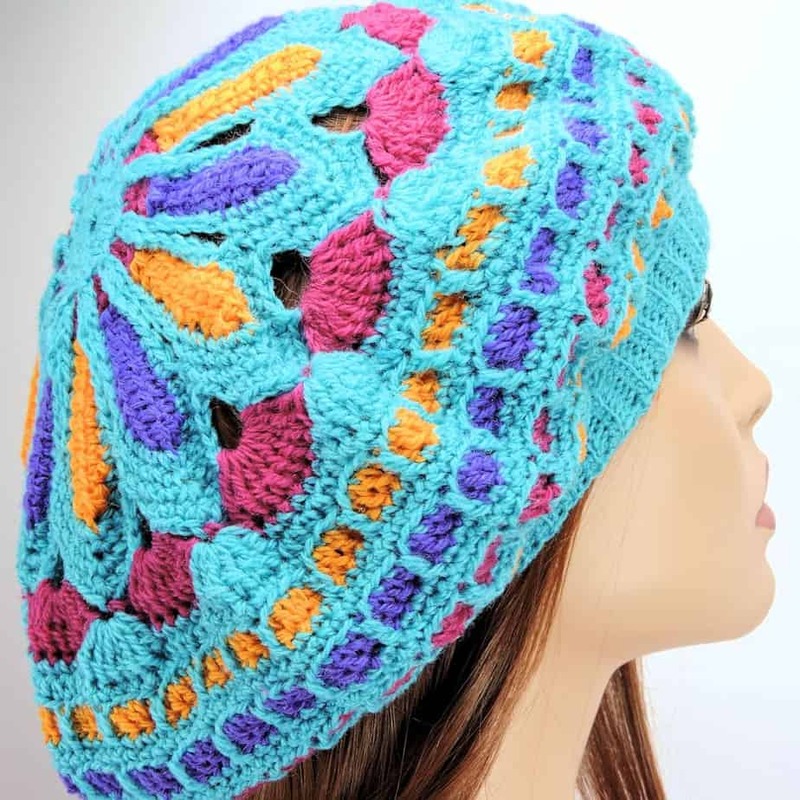 This beanie is super stretchy, more like a knit beanie, unlike what is normally seen with any other type of crochet ribbing. 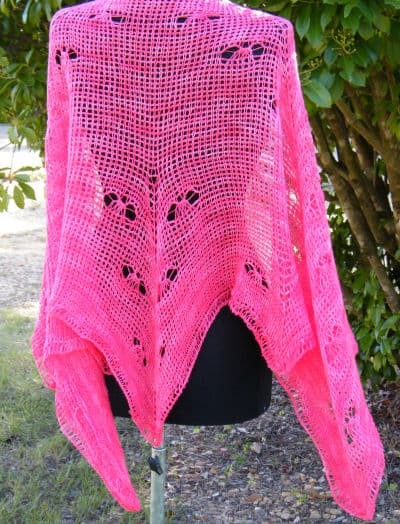 I’ve used superwash wool so this project can be machine washed and dried. Be aware that, if you allow superwash wool to air dry, it will lose its shape. If this happens, wash and dry again in a machine. Project is made flat then seamed. 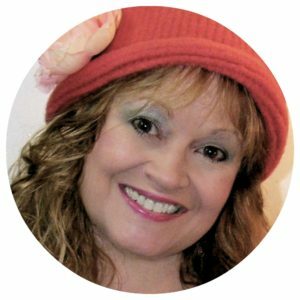 When turning back and forth to change balls of yarn, watch which direction you are turning the hook so your yarn doesn’t become tangled. A: With first ball of yarn, ch 30, sk first ch, *insert hook in next ch, yo, pull lp through (leave lp on hook), rep from * across–30 lps on hook. B: Turn hook 180 degrees so back of work is facing you, push lps to opposite end of hook, with second ball of yarn, pull though one lp on hook, still with second ball of yarn, [yo, pull through 2 lps on hook] across, ending with one lp hook hook. Note: Decreasing will occur on only one side of the hat. 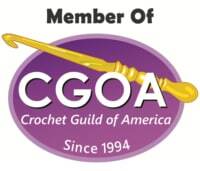 If there is confusion, you may place a stitch marker or small piece of yarn on that side to ensure that decreasing doesn’t accidentally occur on both sides. 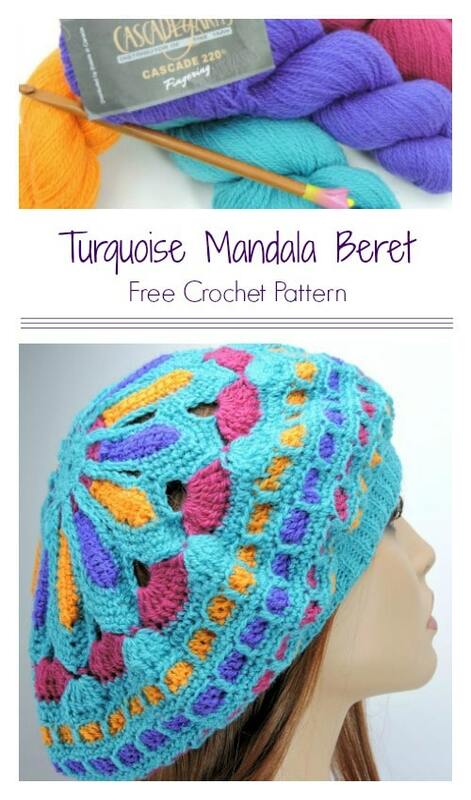 If you begin having any problems with keeping your place, practice this project in two separate colors first. A: Still with second ball of yarn, sk first vertical bar, tks to last st (do not work last st)–29 lps on hook. B: Turn hook 180 degrees, push lps to opposite end of hook, with first ball of yarn, pull through one lp on hook, [yo, pull through 2 lps on hook] until 2 lps remain on hook (one st remaining). A: Still with first ball of yarn, skipping two vertical bars (these two stitches are already on hook), tks across–29 lps on hook. B: Turn hook 180 degrees, push lps to opposite end of hook, with second ball of yarn, pull through one lp on hook, [yo, pull through 2 lps on hook] across, ending with one lp on hook. Rows 4-17: Rep rows 2-3 consecutively. On final row, 22 lps on hook. A: Still with second ball of yarn, sk first vertical bar, tks completely across, picking up all skipped sts at the ends of previous rows–30 lps on hook. B: Turn hook 180 degrees, push lps to opposite end of hook, with first ball of yarn, pull through one lp on hook, [yo, pull through 2 lps on hook] across, ending with one lp on hook. A: Still with first ball of yarn, sk first vertical bar, tks across–30 lps on hook. Rows 20-73: [Rep rows 2-19] 3 times. Rows 74-90: Rep rows 2-18. Row 91: Still with first ball of yarn, sk first vertical bar, [insert hook as for tks in next st, yo, pull lp through st and lp on hook (sl st made)] across. Fasten off, leaving about 12-15″ strand for seaming. 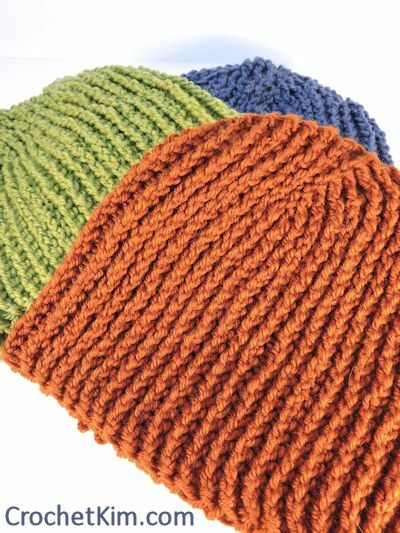 With yarn needle, seam Row 1 to Row 91, weave strand into all stitches at top of hat, cinch to close. Weave in all loose ends carefully.